Marketing and sales have changed dramatically over the past few years and every business, regardless of size, must adapt. 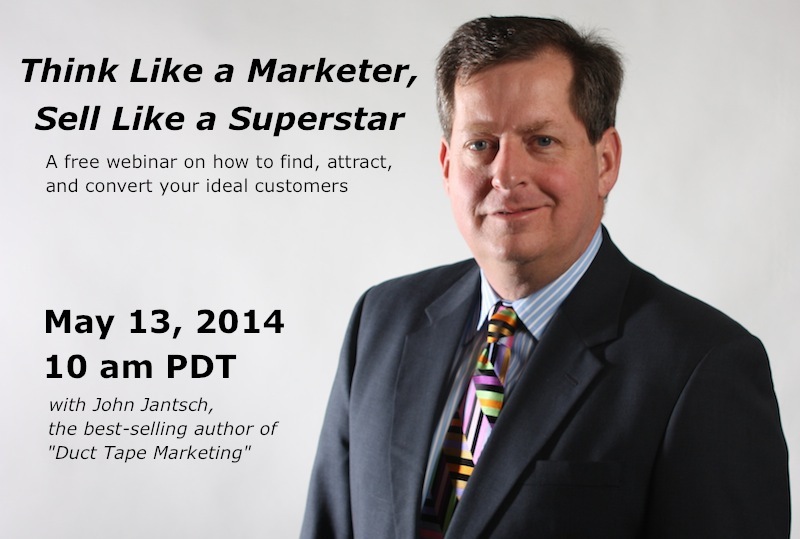 Join John Jantsch, best selling author of Duct Tape Marketing, as he explains how business owners and marketers alike must take the best of marketing and best of selling to create the perfect mix that attracts and converts ideal clients. Please join us for this exciting opportunity that will transform your sales and marketing processes! The webinar will be at 10 AM Pacific Time on May 13th. Space is limited, so please reserve your seat today. 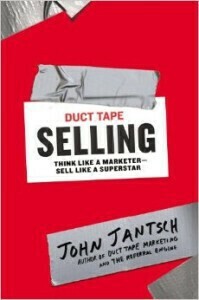 Three lucky attendees will win a signed copy of John Jantsch’s new book, Duct Tape Selling.